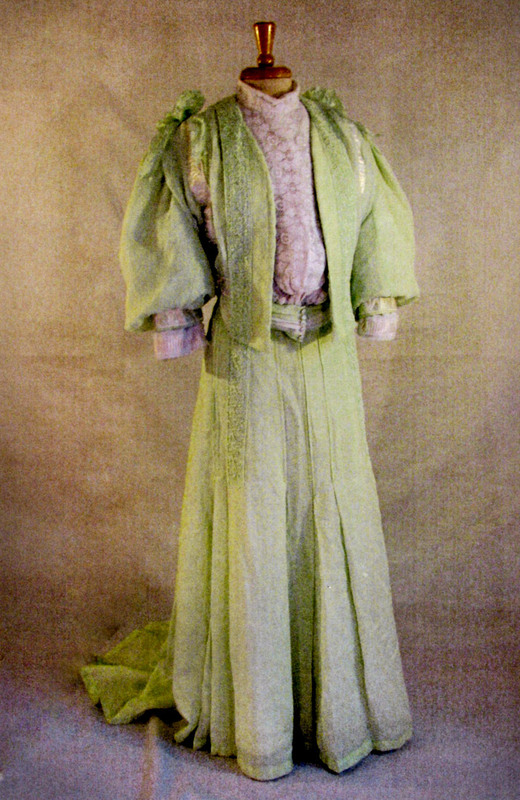 Created for a Dickensian festival, we present here a stunning embroidered silk satin bodice in very pale gold with a Christmas green rayon velvet seven gore Edwardian skirt. 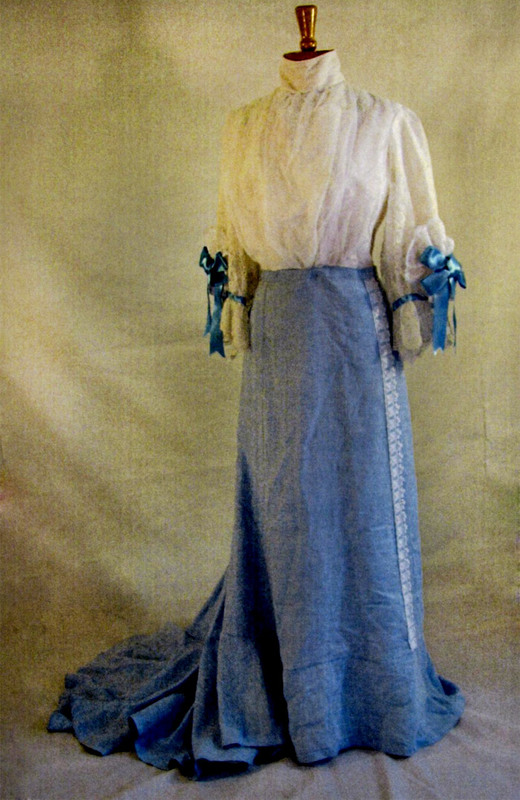 This lovely ensemble was created for a display piece to be shown at the Galveston, Texas Charles Dickens on the Strand Festival in 2012. 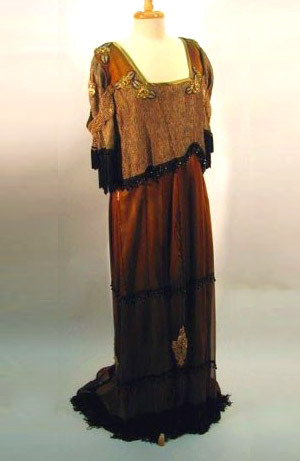 The most striking feature is the bodice, built using the Jane Honniset historic Edwardian bodice pattern used for many of the evening bodices worn by Hellena Bonhamme Carter and Dame Maggie Smith in the Merchant and Ivory film “Room With A View.” The lovely embroidered silk satin is enhanced by the pale gold beige machine lace over cream taffeta inserted in the neckline and for the collar and cuffs. 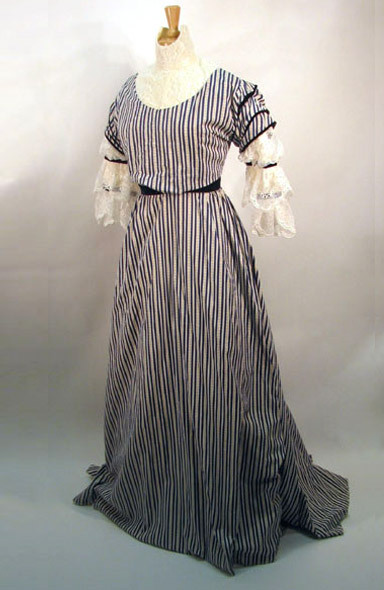 The bodice is bag lined, fitted to the body of the wearer and lightly boned. 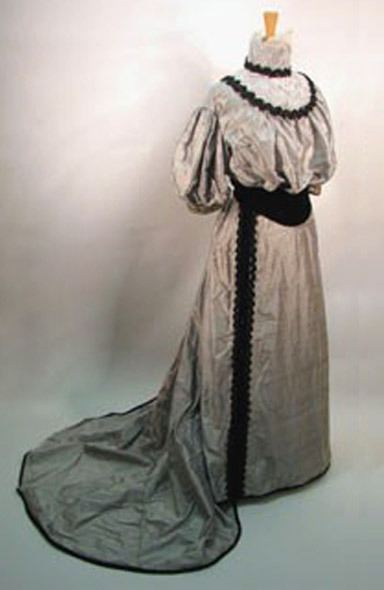 The elegant embroidered silk satin is draped over the fitted lining with the traditional Edwardian pouter pigeon front. 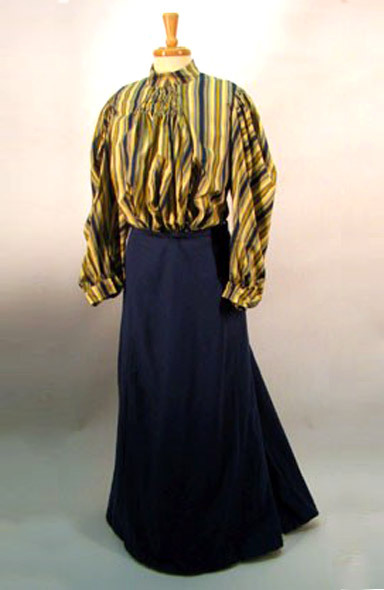 The body of the bodice is back fastened using hood and eye tape, and the standing collar has tiny hooks and loops. 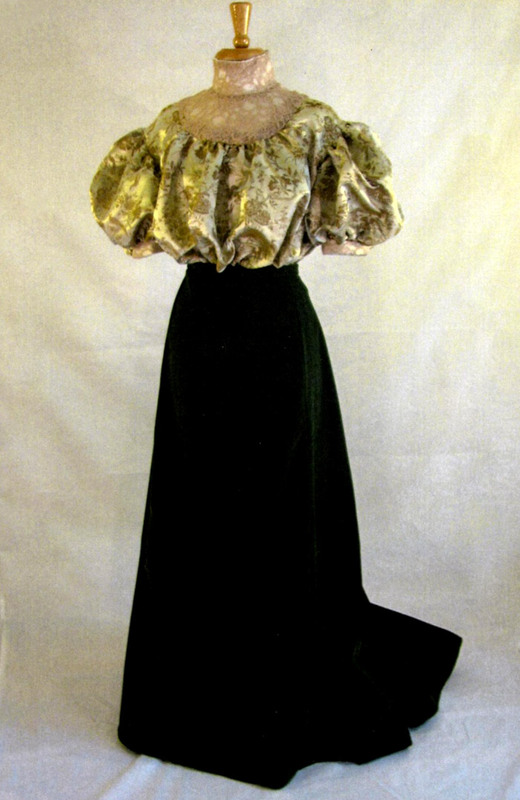 The Christmas green seven gore skirt built with a short train to make dancing easier is of rayon velvet, a popular fabric created in the 19th century. 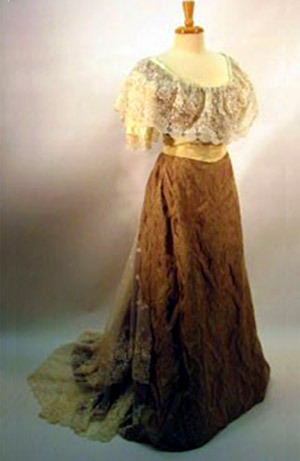 The skirt is worn over a gored and flounced taffeta petticoat with lace trim. 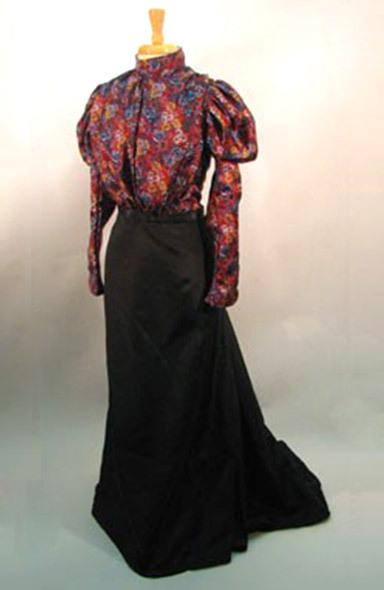 This ensemble makes a lovely winter holiday outfit for any dinner party or dance with a Victorian or Edwardian theme.